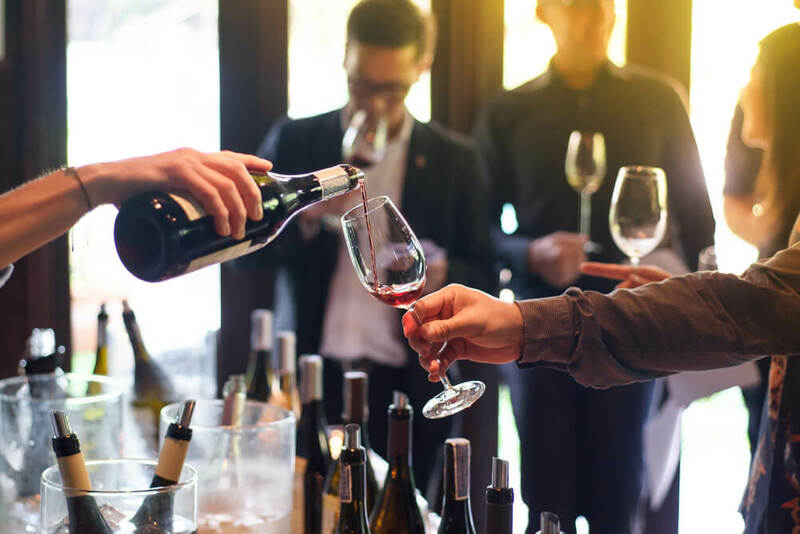 When attending a cocktail party, sometimes it can feel as if everyone else in the room knows more about the wine. While those around you are extolling the fruitiness of a white wine or discussing the tannins in a red wine, you may feel a little lost. While it seems daunting, increasing your knowledge of red and white wines is not difficult. In fact, you will discover that the journey is enriching and enjoyable. Ultimately, the knowledge that you gain deepens your appreciation for wine. The best place to start is by trying a variety of basic wines. By sampling basic wines from your grocery store or local wine shop, you can start building a foundation. You will learn which wines you prefer and which ones you don’t like. By starting with basic wines, you won’t have spent a great deal of money to find out that you don’t particularly like a variety. Also, by creating this baseline knowledge of flavors, as you progress on to more expensive bottles, you will be able to determine the notes that make them different from one another. While you are sampling, take some time to learn some basic wine terminology. Understanding terms such as ‘tannins’ and ‘terroir’ will help you to easily join into any conversation of wine with confidence. With the barrier of unfamiliar terms removed, you will be able to learn from others who may be more knowledgeable. When you are dining out, begin ordering wine by the glass rather than the bottle. This will allow you to taste several different wines. Also, wine can impact the flavor of food. Drinking wine by the glass will give you the opportunity to explore how different wines pair with the food that you are eating. You will start to learn combinations, such as white wine and shellfish, that enhance each other. This type of information is always helpful when planning a dinner or a party. There are widely held traditions when it comes to wine and food pairings that are worth noting. However, ultimately, it is your preference that is important. By exploring different options, you can develop a knowledgeable opinion versus a random guess. You will find that some combinations that shouldn’t work, actually work quite nicely. Lastly, start reading the labels of the bottles of wine that you enjoy. Wine labels contain a vast amount of information about that particular wine. You can not only learn when it was bottled but also where it is from. The label will also identify the type or types of grapes were used to produce it. It will also identify the amount of alcohol. By regularly studying the bottle’s label, you will begin to build your knowledge base. Learning about wine should be a fun adventure. To supplement your education, you may consider gathering a group of friends for a wine tasting class. Many wine shops hold these classes for a nominal fee. It is a way for them to educate their customers while also featuring products in their shops. Not only are these classes enjoyable, but everyone will learn a great deal. Enjoy learning about wine and vintages. While it may seem intimidating at first, as your knowledge and confidence grow, your appreciation will too. You can either stop in Drakes Yoke for some dinner and wine, or head to Byrd Mill to purchase wine to take home!